We hope by now that you have received your refund from Bikereg! 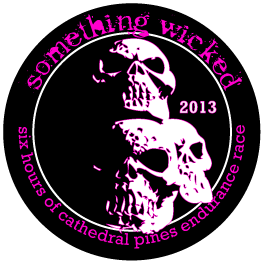 If not, please let us know by email at: torture@somethingwickedevents.com. "All refunds were processed on Friday (02.01.13). For those that registered using PayPal Express they should see a credit to their account that day. For those using credit card, the credit would have gone through right away but may take a couple of days to show on their statement. They should perhaps contact their credit card companies to check. From what I can see on our end, all were completed." We tried valiantly to secure a full refund for you all but there were some items that we could not be reimbursed for. We realize the amount not refunded is minimal, but we vow to make it up to you this year in 2013. Thank you all for your understanding! Registration for 2013 will open on May 1st at high noon.